HCMC – Steel billet and some other steel imports from China have been in steep decline but construction steel disguised as steel alloy to enjoy low tariffs is still flowing into Vietnam, which industry insiders said would adversely affect domestic steel production. 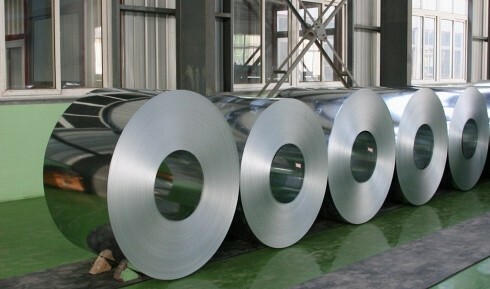 Ho Nghia Dung, chairman of the Vietnam Steel Association (VSA), told the Daily on January 17 that the current volume of steel billet imported from China has decreased by 60%. Other types of steel have also fallen sharply compared to early last year due to the adoption of some trade defense measures. However, an increasing volume of long steel and construction steel has been imported into the country in the form of steel alloy that can evade trade defense duties. “The association has been cooperating with firms to clarify the issue while still voicing its alarm to protect local production,” he said. He added the steel industry reached an average growth rate of 12% last year, generating good profits for local firms. VSA estimated the total steel consumption this year would reach 17 million tons, including construction steel, cold rolled steel, welded steel pipes and galvanized sheets, a year-on-year increase of two million tons. In particular, the consumption of construction steel would be around 8.2 million tons, up by one million tons compared to last year. Dung expected consumption in the domestic market would remain stable this year. In addition, steel prices would be higher than last year, as raw material prices on the world market have been on the rise. The growth rate of the sector is predicted at around 12-15% year-on-year. Prices of steel billet on the world market rose by around US$25-45 per ton last December, resulting in a month-on-month increase of VND0.6-1 million each on the local market. The steel industry produced 15 million tons of finished products, including cold rolled steel, cold-rolled coil (CRC) steel, steel pipes and galvanized sheets that met domestic demand and yielded relatively positive export results in 2015. However, Vietnam still imported nine million tons of hot-rolled coil (HRC) steel as raw material for production of other steel products.